(Proclamation No. 227,s 1998) , celebrating the Women's Role in History Month, the observance of the greatest achievements by female who fought for equal rights from workplace,family and society. In this, a woman is given privilege in many ways in how she handle things on her on way, giving them power to govern what they want in their lives and how they can share their thoughts, ideas and attribution. Attribute their success to somethings they can change or something they can immensely influence. The "LEGACY" video as part of the Dove Self Esteem Project, reminding us(women) that what we started will greatly influence our children. From having both self-confidence and self-esteem, by setting a major goal in LIFE to become a GOOD ROLE MODEL to the next generation. I can't think what will be my Beauty Legacy I can leave for my two daughters. My two daughters are born with beauty and brain. They have different characters, and each of them is very unique. Despite of their uniqueness, I manage to know them better. The fact that I am the only child in our family, when I have them and become a single parent, I treat them as my sisters. 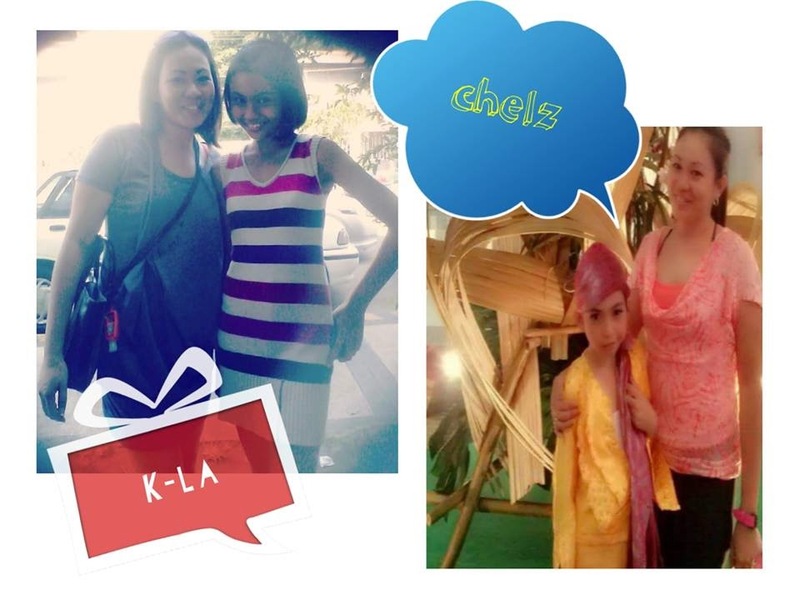 Though my mother instinct is still there, I still watch them simultaneously both as a mother and a sister. Unfolding and acquiring greater beauty everyday; but different approach, because each of them is unique and although they start off looking very similar to each other as well as to me---vice versa. They emerge with different personalities, be an early indication of a version like me, but still they are very different individuals. I have so many issues with my FACE and BODY all the time, and I am afraid my children will also see those imperfections in me. So many times, I run away from the mirror, though it sounds crazy and funny, but I do that just to make myself convince that I am not that old---I couldn't get away from myself. Maybe others will believe that I have a disorder, but for me that is my way of releasing my doubts and having that low-esteem I get after separation. I have to admit, I have to surrender that feeling. It's time to SURRENDER those NEGATIVE THOUGHTS that will get me into TROUBLE. Need to get back my CONFIDENCE and be a GOOD ROLE MODEL to them. My eldest daughter, K-la is more of a ANALYSTS PERSONALITY, she is very imaginative, and she think strategically, she makes plan with everything. She loves to make slum books, design banner, love listening to music and edit videos. She's fallen in loves with IT(Information Technology) course, she is filled with discovering and rediscovering what she loves. And this reflect myself, I am into blogging, I write and review products, I also love making my own DIY thingy. My life is more on ONLINE WORKS and that's connected with computers. My youngest Chelz, is more on a EXPLORER. Flexible and charming artists, always ready to explores and experience something new. More of an ENTERTAINER, because she's spontaneous, energetic and enthusiastic dancer. And she cracks jokes all the time-life is no dull moment with her. Just like me, I love to explore things that are new to me, up to now I am curious with the things I've seen for the first time. I am a dancer too! I am once an entertainer in school because I belong to a Dance Troupe. Personally, I am flattered to see my children have all my attributes, happy to be told we look alike - like I am invaded with my own self. Both of my kids are ardent readers and top in their classes which is I am proud of. They are all EXCELLENT and I love them both. 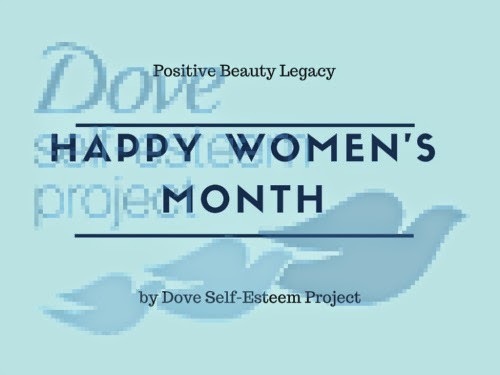 Dove's Legacy is giving back that SELF-ESTEEM to all, make it be a mother, aunt, coach, a teacher, or a sister, every woman has the opportunity to stand and make a difference to a girl's self-esteem. A POSITIVE BEAUTY ROLE MODEL. Teaching them about BEAUTY is not the mere physical attribution of a person but also the BEAUTY within - the INTELLECTUAL FACTOR and GOOD CHARACTERISTICS. Happy Women's Month from Dove!!! Absolutely right Rochkirstin. Sometimes I choreograph dance step for her school activities. I really admire you as a single parent and how you manage to deal with the different traits of your kids. I also believe that the most important beauty is what's inside a person - the character. This is a nice project by Dove. We shared the same fear Pal, I too stay away from mirrors. Kasi I am not that convinced na pogi ako. ha,ha,ha.. But saludo ako sa iyo. It is really hard to raise kids as single parent but you 're just doing great. Basta, always tell your kids, Each one is created unique by God and the Creator always wanted his creation to have good character. We are thankful to women, especially to mothers who are caring and loving. We must respect them. My mom's a single parent too. I admire her for raising and caring me without a father on our side. Imagine, Philippines being patriarchal society, there are a lot of single women out there who manage to raise their children by their own. Happy women's month to you and to all women! Thanks Otakore! Brave is your mom. Love her with all your LIFE. Happy Women's month! I would like to greet every mom but also I wanna greet the women who never had children or wishing to have children because the absence of children does not make them less of a woman. 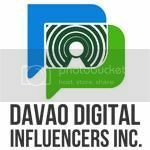 :) Excellent project by Dove and I love your post. I respect girls because I was raised by my mom and 3 sisters. In your case, I admire you being a single mother. You have the strength to work for your child and support them all the way! Hey sister! Happy Women's month! Didn't know that you are the only child of your proud parents :). Your kids looks like you, a lot!